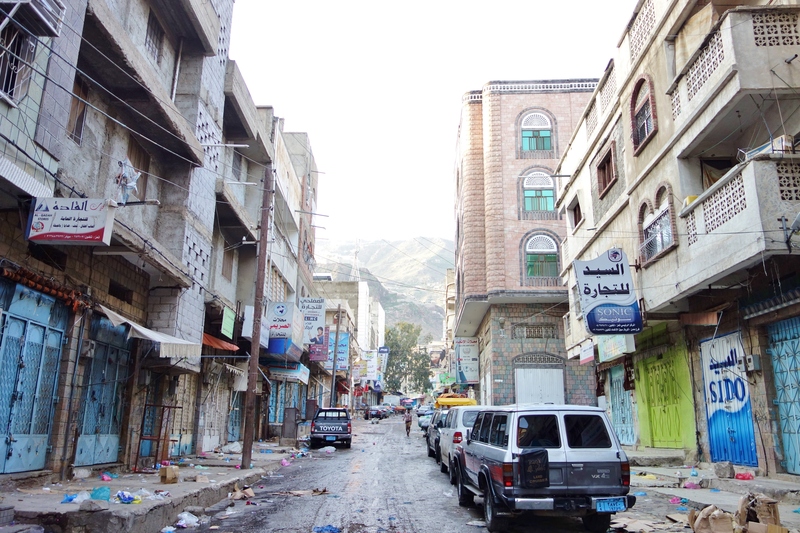 Taiz is at something of a crossroads in Yemen. It is close enough to the south to be touched by the separatist sentiments found there. It is close enough to the north to be caught up in the intrigues in the capital. 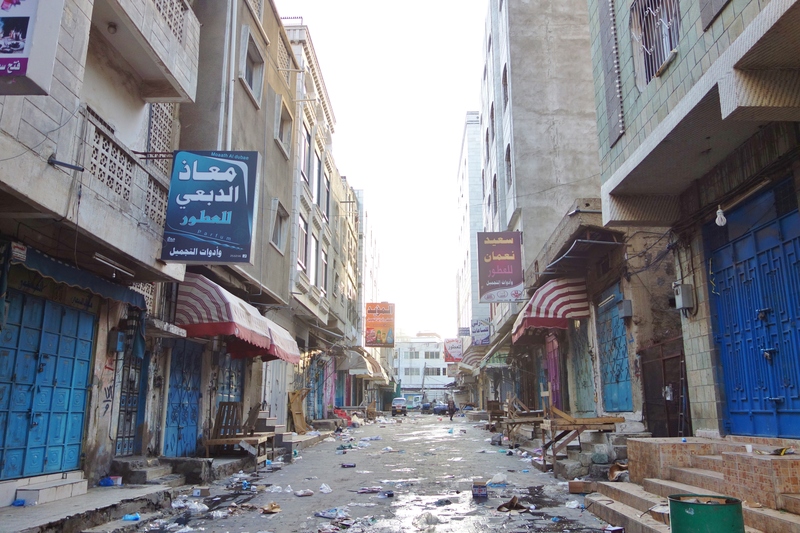 It is close enough to the wilderness of Yemen to have Al Qaeda in the Arabian Peninsula (AQAP) or those sympathetic to them operating in the city (Pierre Korkie, who was recently killed along with Luke Somers during a hostage rescue attempt, and his wife were abducted in Taiz in May of 2013). 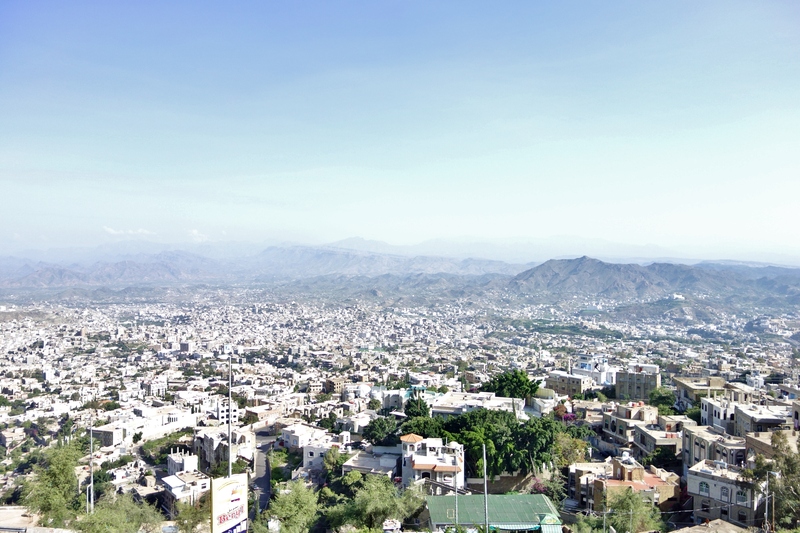 It is also the industrial heartland of Yemen (Taiz is near the famous Mocha port on the Red Sea), which means that it is too significant for anyone to ignore. 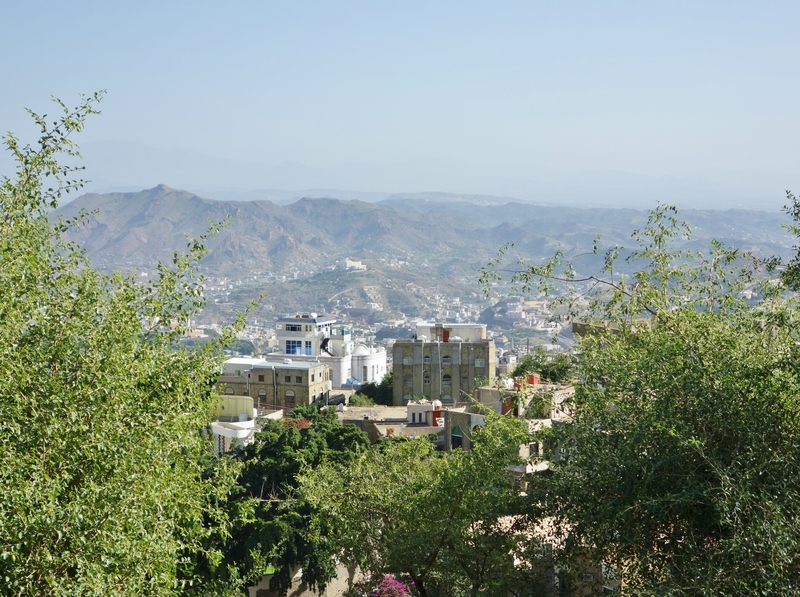 Our arrival coincided with a hammering rainstorm which upgraded the normally horrendous traffic on the way into Taiz to exceptionally horrendous and so we entered the city well after dark. 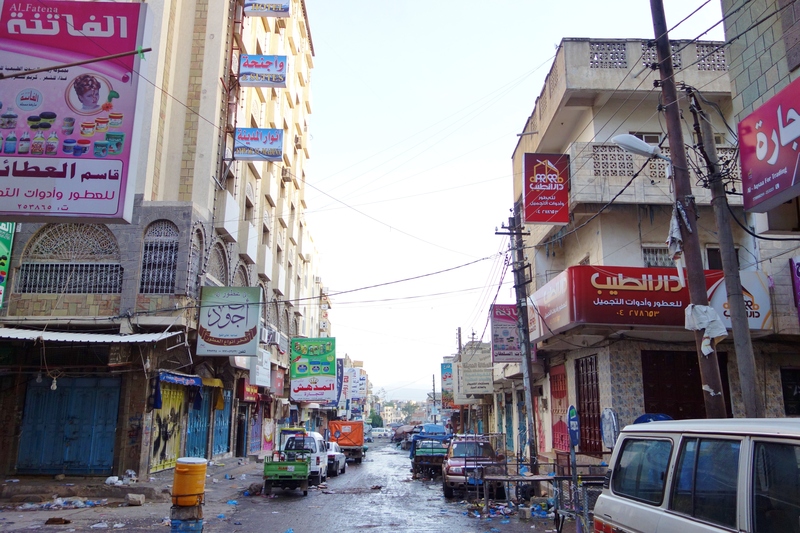 Due to the rain, the streets of Taiz had all been transformed into streams, carrying torrents of muddy water, trash and god knows what else deeper into the city. 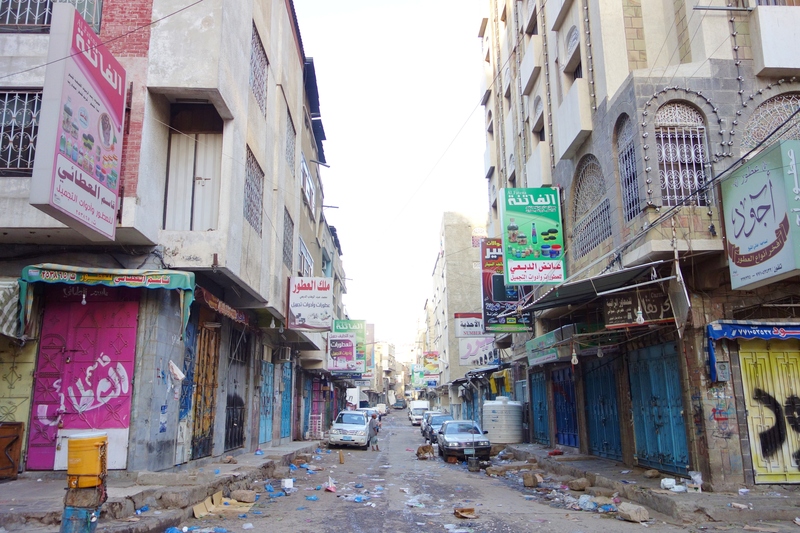 As the depth of the water on some of these streams that used to be streets went over my knees, it made navigating the back alleys of Taiz somewhat difficult. However, with a bit of luck and persistence, I was able to find enough to be able to prepare a dinner before the electricity went out. What was interesting, at least to me, was that despite the heavily adverse conditions I described above, the streets were packed with people and traffic to the point that it was difficult to push through the crowds. 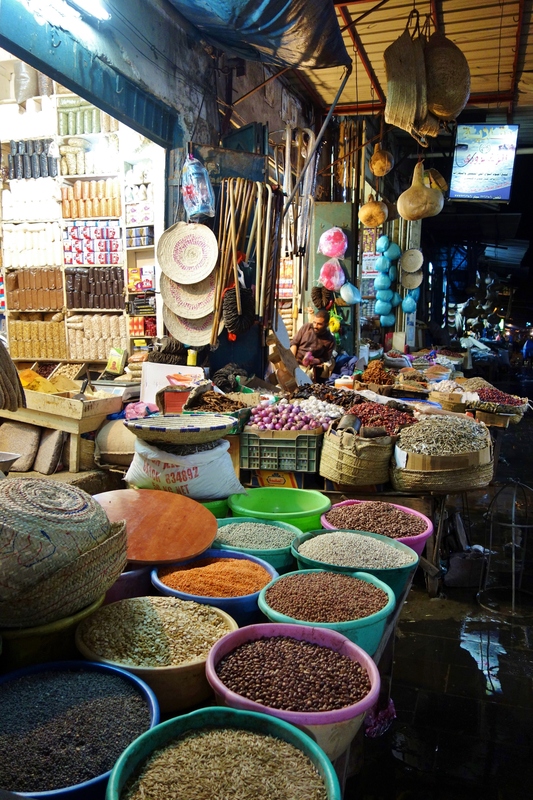 Noise and activity were everywhere. I know that humans can be tremendously cruel. I also know that male animals will sometimes kill the offspring of others in order to eliminate genetic competition and to make a female available to mate again sooner. So, I don’t know if it was the human or the animal world that was responsible for this loss of life. 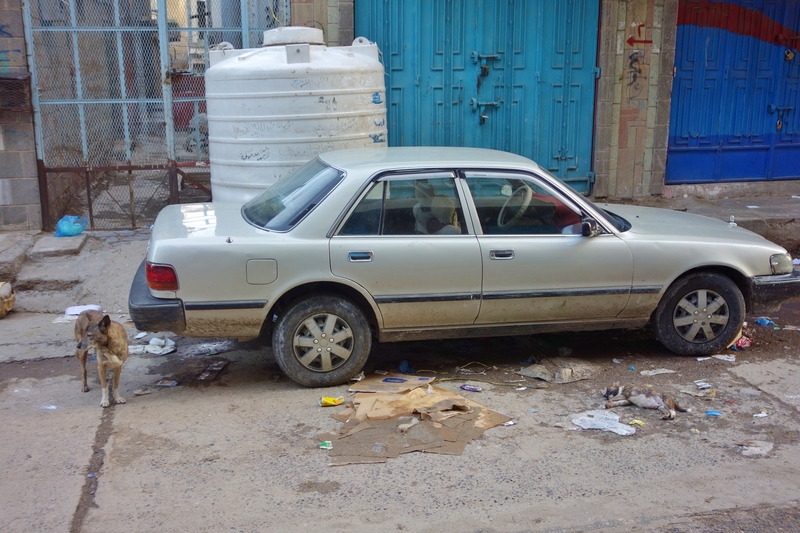 By the time I took the picture below, both the Yemeni man and the other dog had moved on. This street – in front of our hotel – was so crowded the night before that vehicles didn’t even try to go down it and would just move on to find another way to their destination. 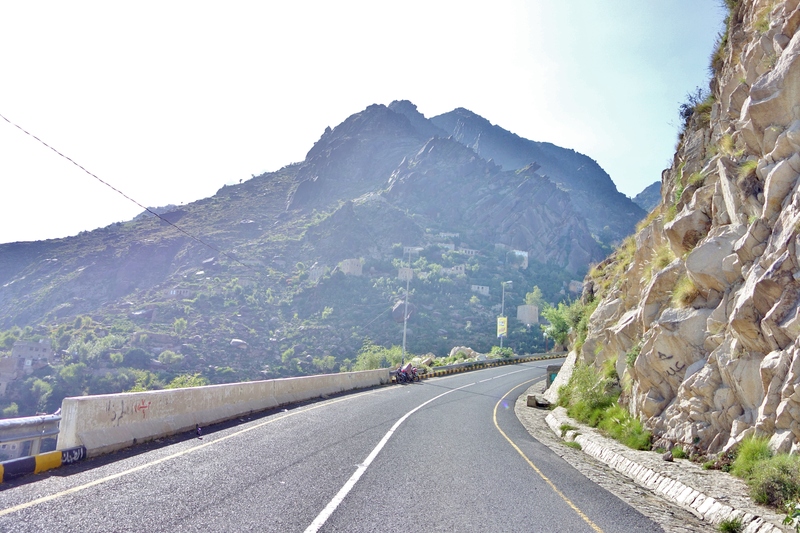 Approximately half way up Sabir Mountain is Cairo Castle (which is also known as Al-Qahira Castle and a host of other names). 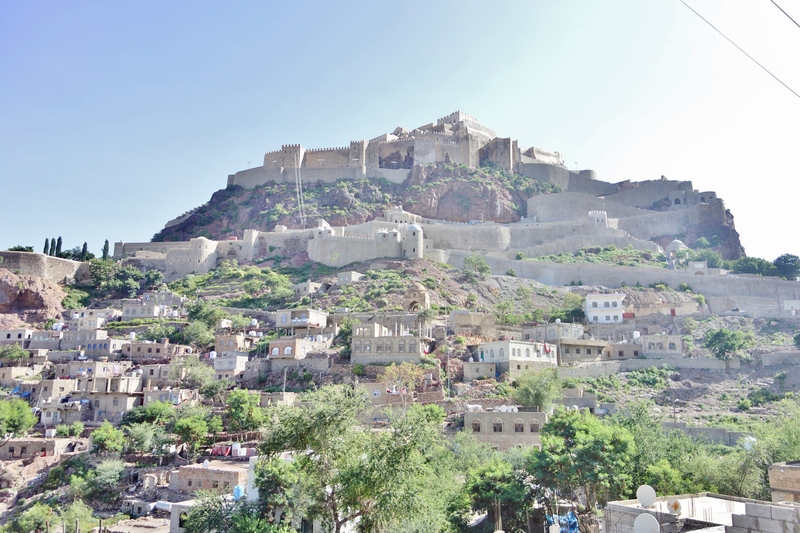 The history of this fortress overlooking Taiz is somewhat murky as successive conquerors and rulers have continually rebuilt and expanded the castle – each time on top of earlier ruins. 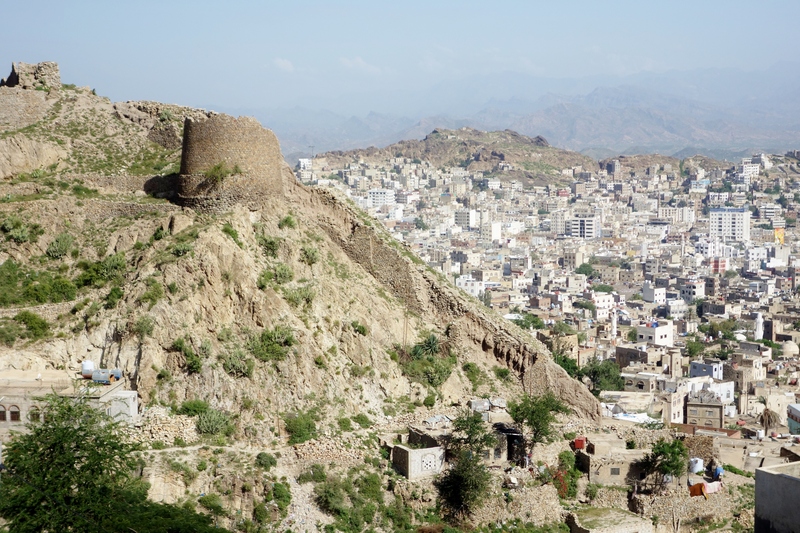 Some say that it pre-dates the arrival of Islam in Yemen, some link it to Queen Arwa and others connect it to the Ottoman era. It may be that all of these theories are correct as the defensive properties created by the topography of the land around the site are ideal and this would have been attractive to any number of groups throughout history. 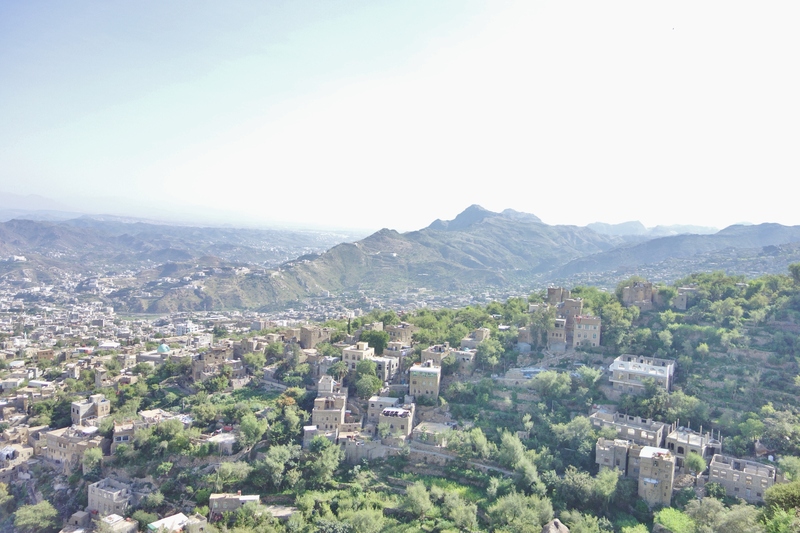 Tags: al-Qahera Castle, Al-Qahira Citadel, Al-Quahira Castle, Cairo Castle, Cairo Fortress, Eleonora Ames, Jabal Saber, Jabil Sabir, Justin Ames, Saber Mountain, Sabir Fortress, Sabir Mountain, Ta'izz, Taiz, Yemen. Bookmark the permalink. I think the male dog killed the pup. I’ve seen male dogs be extremely aggressive toward pups and the guy looks like he was watching the scene because he was curious not because he took part in it. So what did you fix for dinner?